The immediate past governor of Ekiti State, Ayodele Fayose, was arraigned Monday before a Lagos Division of the Federal High Court over an 11-count charge of conspiracy and money laundering. 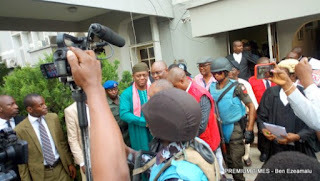 Mr Fayose, and his company, Spotless Limited, pleaded not guilty to all the charges. The judge, Mojisola Olatoregun, ordered that he be remanded in the custody of the Economic and Financial Crimes Commission and then adjourned till October 24 for hearing of his bail application. Prohibition) Act, 2011 (as amended) and punishable under Section 15 (3) of the same Act.